Things are finally drying up around here after the heavy flooding. There are still some local remnants, one of which provided a nice picture opportunity the other morning. I drive past this farm a lot, and when the pasture in front of it flooded I realized that there might be a beautiful reflection in store for me. It did require some patience – it was either windy or rainy – but the other morning it finally came together. 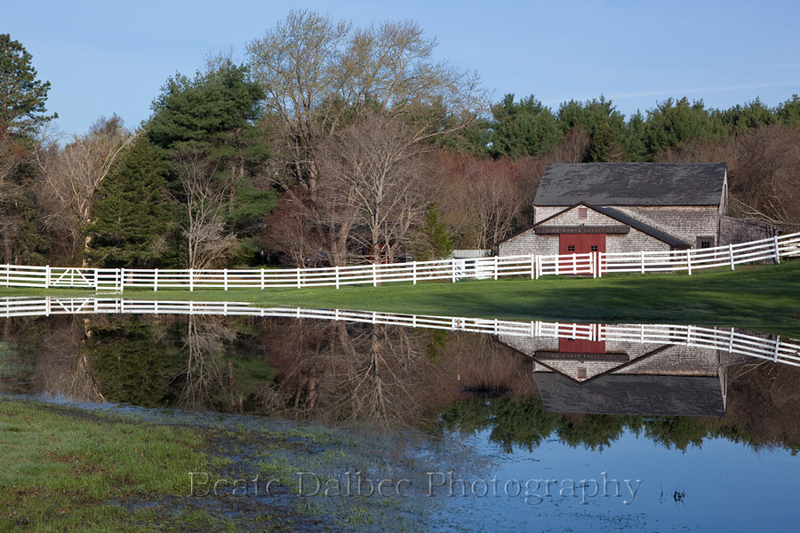 Beautiful morning light, no wind and a nice reflection of the barn and fence line in the still lightly flooded pasture.